Children across Aberdeen have the chance to venture out their classroom and learn about the importance of preserving the environment first hand. A famed orca made a rare appearance in the Moray Firth at a location better known for its sightings of dolphins than killer whales. Dolphins gathered in the North Sea in record numbers on Sunday, delighted the large crowds gathered on the shore. The population of bottlenose dolphins in the Moray Firth has has stabilised but remains vulnerable, according to experts. Many thousands of dolphins, whales and porpoises continue to be killed in fishing nets – and some European countries are failing to tackle the problem, a new report has warned. Forget their cute image - dolphins are being blamed by experts for the brutal killing of a harbour porpoise in Wester Ross. A rescue effort ended in sadness yesterday after a distressed dolphin died after spending hours circling in a north-east harbour. A talented teenage artist is on the crest of wave after creating a sensational sculpture to raise funds for a £10million dolphin centre in Aberdeen. Charn Jarikarn, 46, spotted the exhausted adult bottlenose washed up on the sand. This is the moment a stunned holidaymaker thought he was rescuing a dolphin - but it turned out to be a shark. A north-east photographer has captured the moment strangers helped to rescue a stranded bottlenose dolphin on a north of Scotland beach. Attempts to rescue a dolphin that became stranded on a Moray beach ended sadly yesterday when the ailing animal had to be put down. 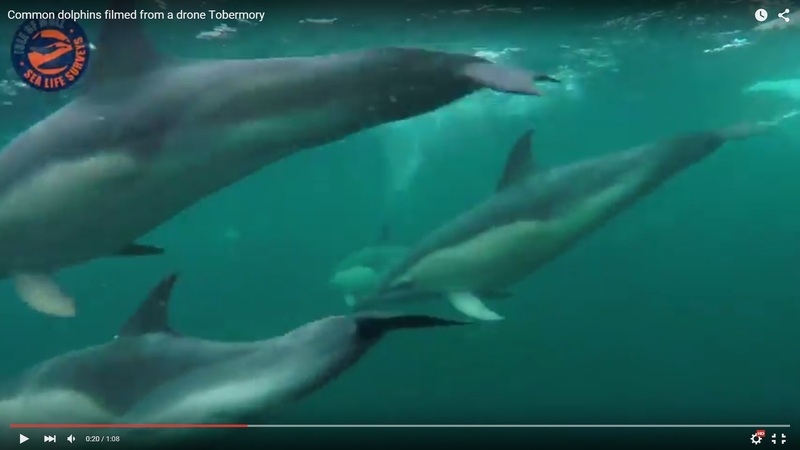 Sea Life Surveys have uploaded a great video, shot with GoPro and drones, of dolphins playing in the sea. 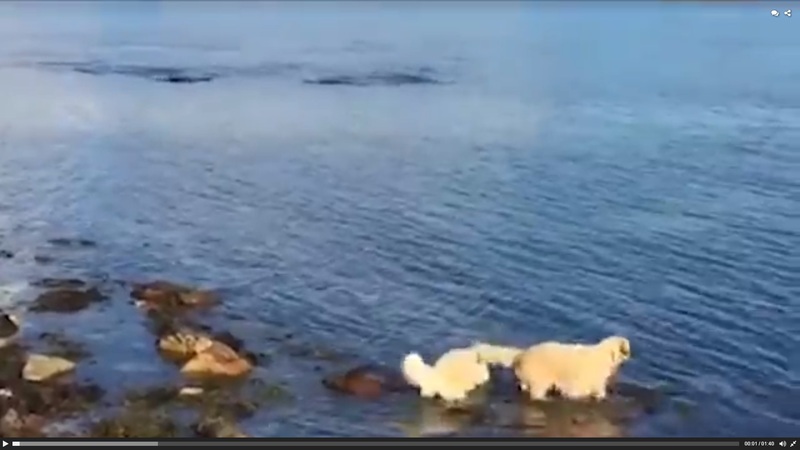 Two curious dogs have warmed hearts after they went for a paddle in the sea with a pod of dolphins. 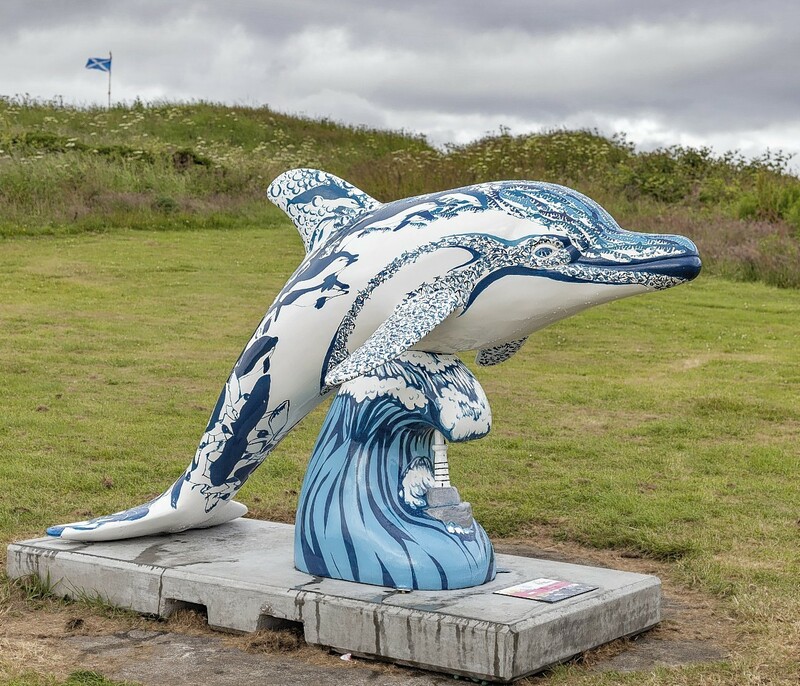 A dolphin sculpture which fetched £8,500 at a charity auction has mysteriously appeared in a north-east fishing village. Wildlife experts have warned boat owners not to get too close to dolphins, whales and porpoises as the summer holidays get under way. 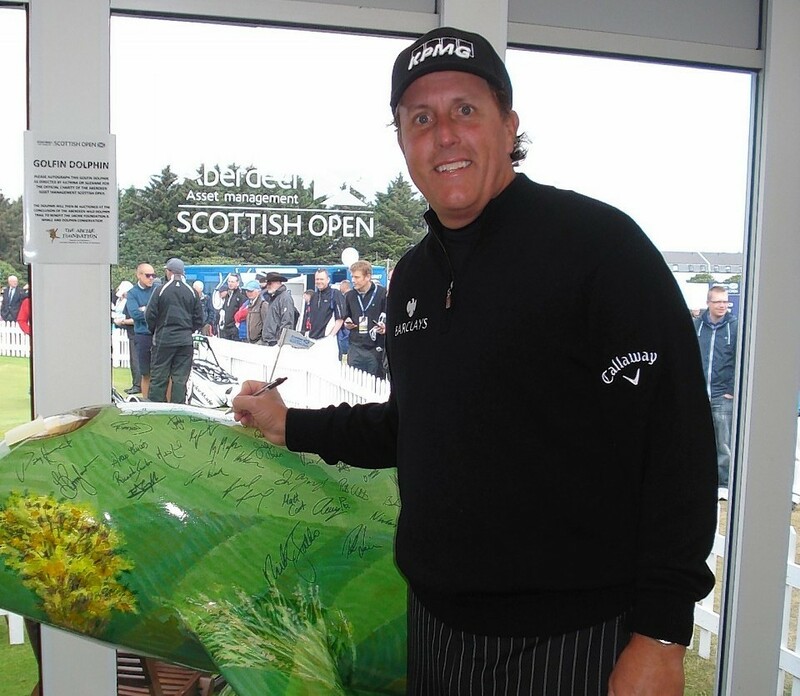 One of the wild dolphins on Aberdeen's summer art trail is getting a taste of golfing life - and meeting some of the stars of the Aberdeen Asset Management Scottish Open.